We were watching random shows on TV. I was flipping the channels until I clicked on FOX Movies, or HBO I can't recall, when this show was on. A movie starring Keira Knightley and Mark Ruffalo and Adam Levine. OK this is cool, I thought, I've never seen Adam Levine stars in a movie before. Soon after, I wonder what the movie was about. Must be something musical since Adam Levine's in it. Suddenly Keira Knightley came on stage - and began to sing. "Ooh this song isn't so bad! But it's obvious it's not her voice though"
I told him, at that moment I was already convinced - this movie must be cool. Must have cool soundtracks, cause I was loving the song I heard thus far. "Siapa ni? Ooh, Keira Knightley menyanyi ke?" He asked. I confidently told him no lah - Keira Knightley does NOT sound like THAT. 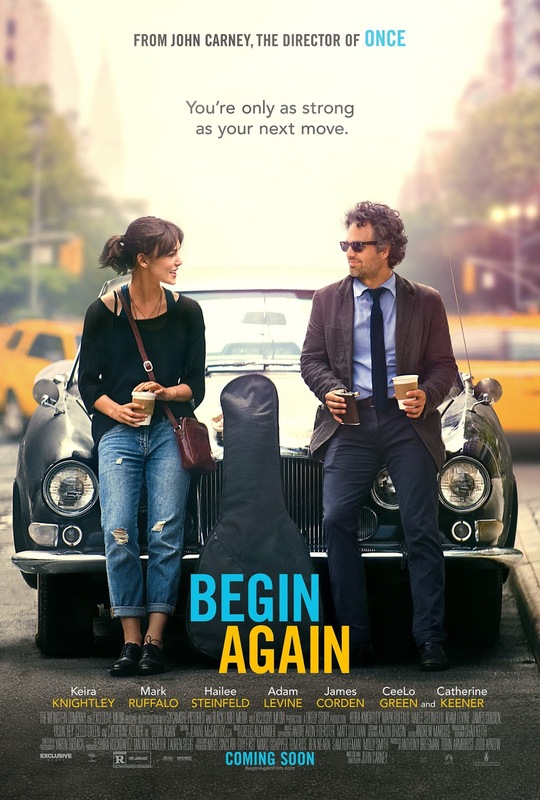 And there it was - the Begin Again movie soundtracks, and along the line, I found most of the songs with her name on it. It was totally her voice. Keira Knightley CAN SING! Watched the movie till the end. It was Saturday night, and I didn't mind sleeping a bit later than usual. Even made the husband stayed up with me in front of the TV haha. 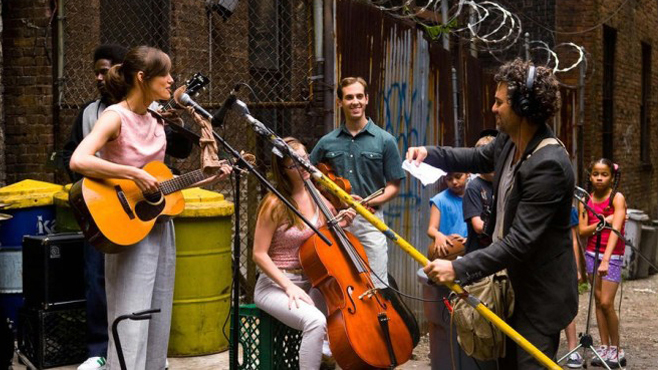 Now, the movie soundtrack is already in my iPod playlist and on repeat - especially Keira's Tell Me If You Wanna Go Home, which they played on the rooftop with Mark Ruffalo playing bass and Hailee Steinfield playing the guitar. Watch, if you haven't. And be prepared to watch Keira takes the stage, sounding totally unlike herself.